Courtney Taylor, a resident of Bardstown, KY wants to offer you a fresh spin on Central Kentucky Real Estate. Courtney and her family are very active in their community and church and she and her husband have three children, ages 8, 5 and 3. They keep her very busy with basketball, soccer, baseball and golf. She also has been a Girl Scout troop leader for the past 4 years. Courtney is excited to bring her years of non-profit experience to the table, now collaborating with the Remax Executive Group Clinkenbeard Extreme Team. 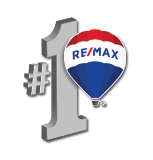 Whether you are looking to buy, sell, or relocate, Courtney is ready to assist!